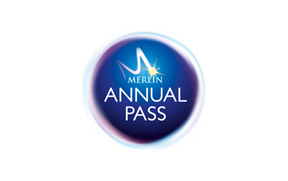 What is a Merlin Annual Pass? Who is entitled to the Family Rate? How much is a Merlin Annual Pass? What's the maximum ratio for a Family rate Merlin Annual Pass? Can I still take advantage fo the family rate, with my party being 6 or more? I'm a single parent, can I take advantage of the Family Rate? Do we have to be related to take advantage of the Family Rate? I'm a Foster Parent, can the passes be exchanged between different children? How old do you recommend a child is to have a Merlin Annual Pass? What happens when my child becomes 16 years old and is classed as an adult? Ticket Terms & Conditions. © Merlin Entertainment Group 2015, all rights reserved. © & ™ Lucasfilm Ltd. Please note that SeaLife Melbourne reserves the right to remove and/or alter figures/experiences for technical, operational, health and safety or other reasons without prior notice.